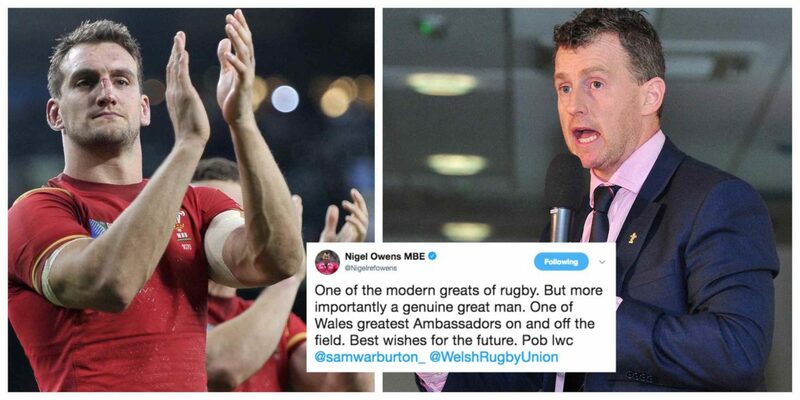 Popular rugby referee Nigel Owens has paid tribute to British and Irish Lions captain Sam Warburton who has retired from rugby at the age of 29 after winning 79 Test caps. The former Wales captain has not played since leading the 2017 Lions to a drawn series against New Zealand. “One of the modern greats of rugby,” wrote Owens. He continued: “But more importantly a genuine great man. One of Wales greatest Ambassadors on and off the field.